March for the gaming industry remembered the grand award ceremony of the British Academy of Film and Television Arts (BAFTA) for best play. At this year’s Golden Mask was nominated best game releases for iOS, including Beat Sneak Bandit, Clay Jam, Incoboto Mini, Super Hexagon and Super Monsters Ate My Condo! 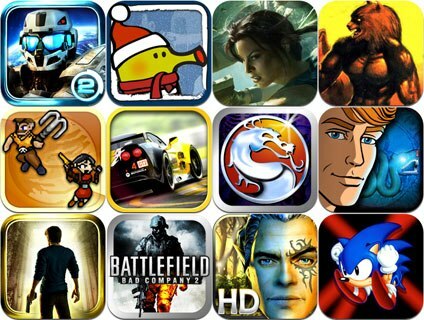 Applications New Star Soccer, The Room Pocket and The Walking Dead: The Game have become laureates BAFTA Games Awards 2013. Meanwhile, the collection of the latest game releases in the App Store recently replenished with different applications in the genre of arcade endless chase Sonic Dash and Outland Games. 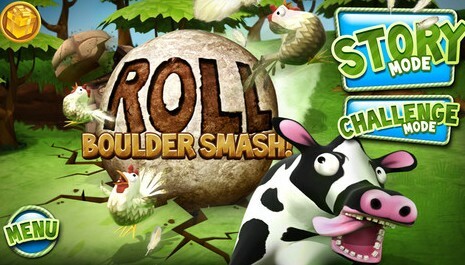 A military battles in the genre gaining popularity Block Fortress, modeling application fortresses and castles, as well as a fun game Roll: Boulder Smash! 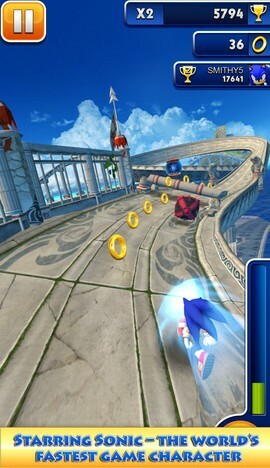 Play the Sonic Dash, where you will jump and speed in a stunning three-dimensional world. Avoid obstacles in the rapid, exciting and endless play-chase for iPad, iPhone and iPod touch. Use incredible movement Dash, which will allow you to accelerate and run with reckless speed, knocking down everything in its path. Sonic the ability to help avoid danger, jump over obstacles and run over dead loop. A devastating homing attack will allow you to deal with the enemies. Block Fortress allows you to build virtually any type of strength and form, and then fiercely defend them from trying to capture obscure square creatures called Goblocks. The game allows you to check how your design skills and fighting spirit that will help you survive in the siege as long as possible. 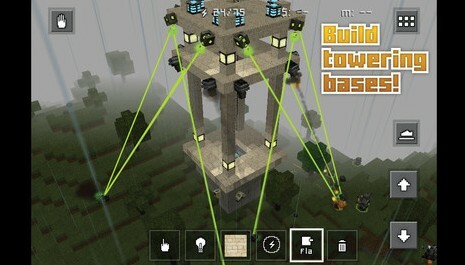 Also keep in mind that in the Block Fortress day and night alternately succeed each other, so that, when equipped with the base you will need to think and night lighting. Welcome to Fishdom, where you can feel like the owner of the aquarium – cultivate fish, feed them and care for them. Bring your own unique kind of fish. Watch the fish are gone from egg to adult – it is really very addictive. Different backgrounds and scenery will make you feel a designer and show their imagination. Decorate the aquarium, to increase the chance of rare breeding birds or get more revenue from the sale of the existing fish in the aquarium. 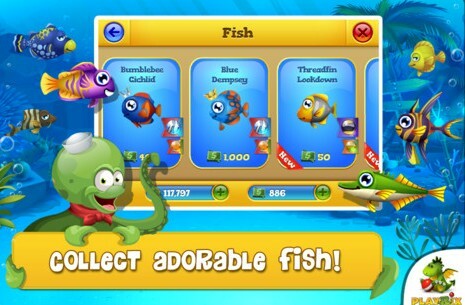 Supported by the entrance to the game through Facebook, which also allows access to your friends and Aquariums. Running, jumping and running again! 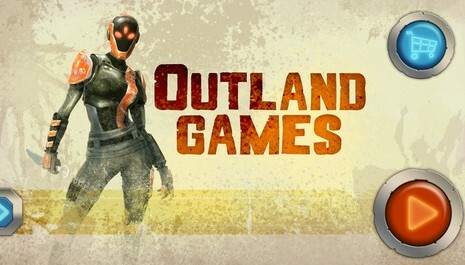 Overcome the most exotic levels and destroy dangerous robots fighting for victory. At the same time you can collect bait that will get better and better weapons and equipment. If after all this, your character will be able to survive, there is little chance that he will finally be granted freedom. Giant rocks and boulders just do that await when you start throwing them in all sorts of aliens, Vikings, cowboys and zombies. You have a great chance to teach all these rascal good manners – and at the same time to create chaos. Functional support Game Center allows you to measure themselves against players from all over the world, and concentrate on getting all 70 medals for a variety of achievements.